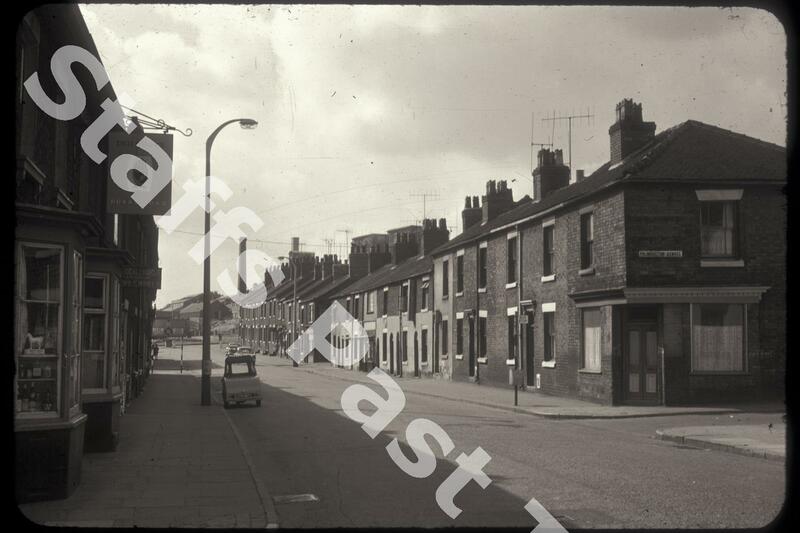 Description:This was the view along Leek Road towards the Joiner's Square roundabout. Palmerston Street is going off to the right. The next road down is Westmill Street. The chimneys in the centre belonged to the Hanley Electricity Works. Two of the cooling towers are visible above the house chimneys on the right. The works was alongside the Caldon Canal. The mix of houses and small shops on both sides down towards the roundabout were built by the 1880s. On the right they have been replaced with open space and low rise commercial properties. 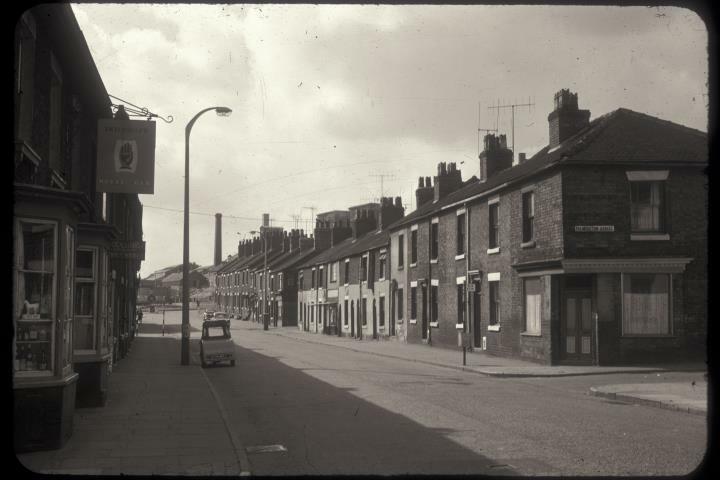 On the left the Royal Oak public house and adjoining shops and houses have been demolished and replaced with houses and bungalows. The photographer was standing on the corner of Austin Street (off to the left). Parked on the left is a 1960s three wheeled invalid carriage, the precursor to mobility scooters.